Reviews of the Sony A9 from around the web. The Sony a9 is more than just a refinement of the company's a7-series of full-frame mirrorless cameras; it's an evolution. With meaningful ergonomic and user interface improvements, the a9 is a polished and highly capable camera. It may not be a go-to camera for landscape and studio photographers, but its compact dimensions, silent operation, abundant speed and blackout-free shooting make it not only a step forward for mirrorless, but a compelling proposition for professionals who can't afford to miss a moment. The Sony Alpha A9 is a phenomenal camera. It's not without its faults – we'll be interested to see how the weather-sealing holds up when it's properly exposed to the elements for starters, while the absence of XQD card slots and very limited touchscreen control is disappointing. Those issues aside, however, the Alpha A9 doesn't fail to impress. The autofocus system Sony has blessed the A9 with is not only incredibly quick, but the tracking performance has to be seen to be believed. It took Sony long enough, but earlier this year the company announced a true flagship mirrorless camera: the Sony a9. The Sony a9 is designed to take on the likes of the Canon 1DX Mk II and the Nikon D5. It’s a camera designed for a photojournalist who needs not a whole lot of resolution but a balance between that and good high ISO output. The Sony A9 hype has now come and gone it seems. For those first few days after the announcement, the new Sony A9 was the talk of the digital photography world, and for good reason. It is indeed the most technologically advanced 35mm format camera I have ever held in my hands or used. 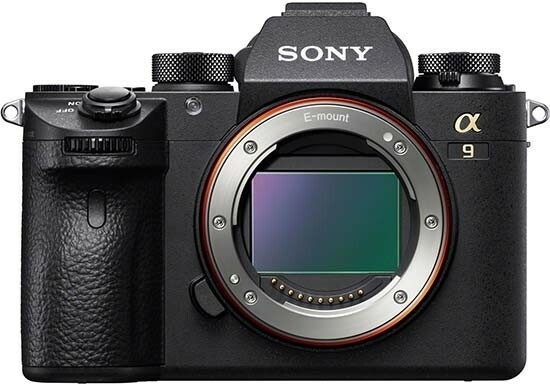 Sony listened to their user base and made the A9 the camera that 90% of them wanted. On paper, it is a tour de force of technology.